Fr. Sam Rake, and his wife Matushka Kristal moved to Vienna WV in 2015 with the directive to establish an Orthodox Mission somewhere in the Appalachian region. Due to some issues with his former jurisdiction, Fr. Sam chose to suspend his public ministry until the internal issues within his jurisdiction were resolved. Due to issues not being resolved, Fr. Sam found himself without an Orthodox Jurisdiction. During this period Fr. Sam was temporarily under the omophorian of a western rite jurisdiction. Though he grateful to Bishop Thomas of the Western Orthodox Christian Church for his acceptance, generosity, and encouragement he could not remain Eastern in a Western Jurisdiction. After a period of discernment, Fr. Sam and Matushka Kristal decided to seek acceptance in the Holy Synod of the Patristic Calendar, GOC. 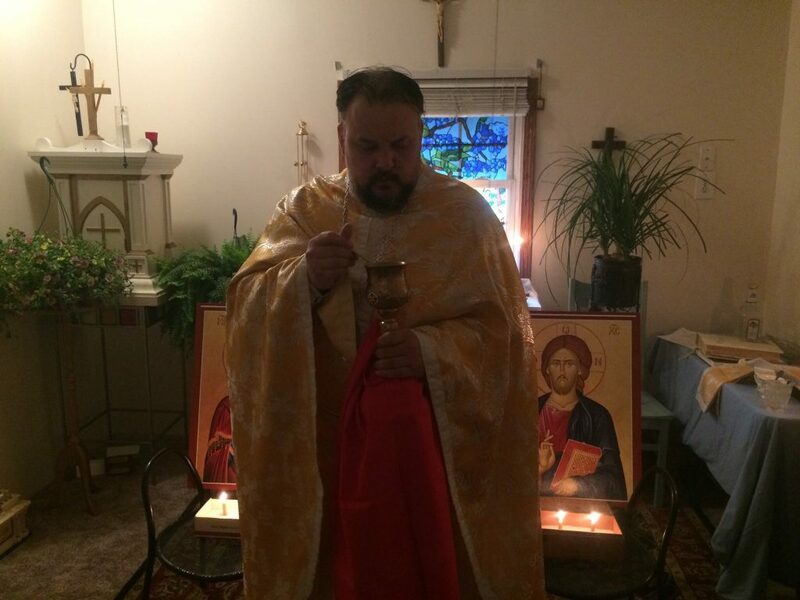 Under the omophorion of Metropolitan Angelos, Fr. Sam can now move forward publicly in establishing an Orthodox Mission. Fr. Sam works as a Licensed Professional Counselor in WV, working with those who suffer from substance dependence and mental health issues. He earned a Bachelors Degree in 1992, a Masters in Theology in 2001, and a Masters in Counseling in 2008. Fr. Sam has spent over twenty years working in the Mental Health field.